The West Bay neighbourhood is known for its unique community of floating homes, historic character, multi-family residences and classic, waterfront businesses. 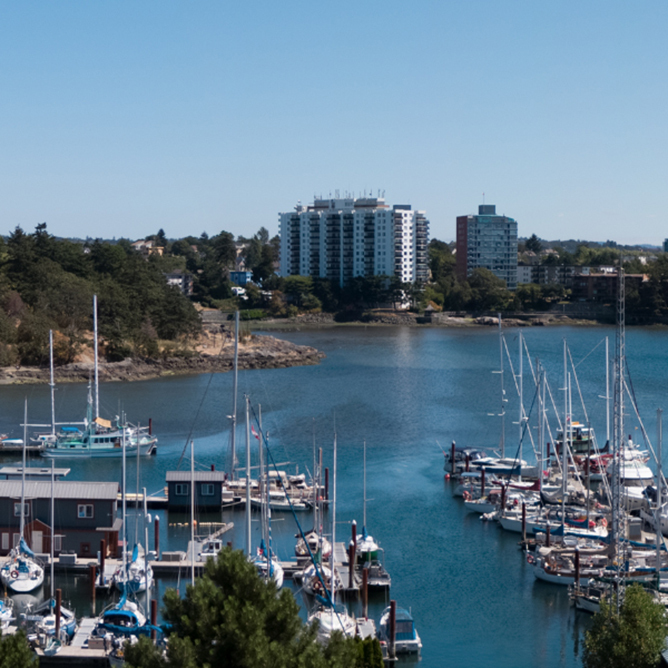 Exploring the marinas and local parks in the area is a popular pastime for many locals and visitors who often arrive by water taxi or the six-kilometer Songhees Walkway that meanders along Victoria’s harbour. Tenfold Projects, the team that’s also behind the highly-successful project The Wade, has designed three distinct buildings to create a dynamic complement to the waterfront surroundings. The aesthetic anchor for the neighbourhood is the five-storey Sapphire at the corner of Head and Lyall Streets. 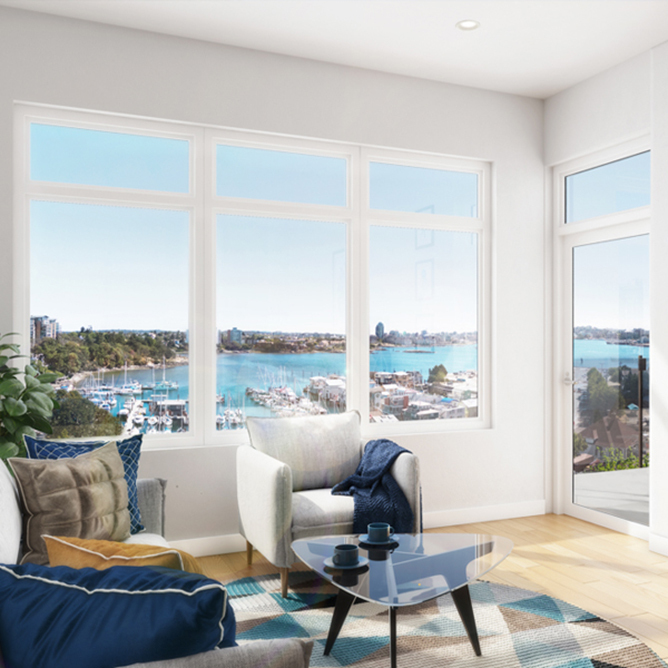 The six-storey Topaz features one and two bedroom condos and 11 live/work spaces as well as six penthouses with incredible views and oversized outdoor spaces. The low-slung, two-storey Lapis will define a revitalized main street with cutting-edge commercial and eight live-work tenants. “Our approach to development is based on the concept for forward living,” said Tomaszewski. “Every Tenfold project is driven by governing principles of our Forward Living manifesto: proven sustainability, cutting edge technology and holistic wellness designed to support a healthy lifestyle that nurtures body, mind and soul. The concrete and steel buildings at Westbay Quay have been designed by Hillel Architecture and incorporate innovation at every turn. Energy efficient heating and cooling, alkaline water treatment and filtration and Lauzon’s ingenious smart-floor air purifying system are just some of the unique features that have been included to create, healthy, sustainable homes. Outdoor living is also a key component of the project with multiple outdoor social areas for residents and quiet seating areas for meditation or yoga. Interiors are designed by Anne Greenhough, and like everything else at Westbay Quay, they are inspired by the ocean. Open concept floor plans have large windows and swing patio doors. Bathrooms are clad with heated Italian ceramic floors and locally sourced glass tile in Sea Foam, Oyster Pearl or Sea Glass finishes. Three designer selected kitchen palettes called White Caps, Pebble Beach and Island Fog consist of quartz countertops, glass tile backsplash and wood cabinetry with premium gloss laminate doors. Common spaces, inside and out, will feature local art. Westbay Quay provides an incredibly rare opportunity to own Oceanside property in a dynamic city village. Presales are expected to begin in the fall of 2017 with construction starting in the spring of 2018.